Sister Margaret’s most recent call from the Lord was very sudden – neither she nor her community had anticipated it at this point and it has come as a shock for her loving and dearly loved family. But when I reflected on her life I saw that it did fit a pattern of the Lord’s dealings with his beloved Margaret. He often asked the unexpected, and she was always prompt and generous in her response. Margaret was born on September 10th, 1929, the middle one of three children: Leo and Patrick were her brothers. Her family lived in Island bay, Wellington, just below Erskine College. Neither her tram-worker father, James Leo Maher, a cradle Catholic, nor her mother Ellen were practising Catholics in her early childhood, but they sent the children to St Madeleine Sophie’s school and faith became very important to Margaret and her beloved older brother, Leo; so much so that they used to attend daily mass at the parish church in Island Bay before going to school. Margaret told the story of their mother scolding them for getting their shoes wet doing this and then having to wear wet shoes all day. They had only one pair each, so little Margie and Leo used to take their shoes off outside the gate if the ground was wet and carry them inside their jackets. Mrs Maher became a Catholic when Margaret was ten years old. At the end of her primary school years she got an apprenticeship in a small dressmaking and tailoring business and learned the skills which she used so effectively in the service of others for much of her life. After four years there she went into business on her own, knowing that she would one day enter a convent, but wanting to spend some time with her mother. The convent she envisaged at that stage was the SMSMs, because she longed to serve the lepers who were rejected by everybody, and give them as much love as she could. The Society of the Sacred Heart was the last place she wanted to be. One day when she was working at home the doorbell rang and she answered it to find two girls there from Erskine. They had been sent by Sister Lynch with two uniforms and a letter. The nuns wanted to know if she would make some alterations to the uniforms and asked in the letter if she would deliver them herself when they were finished, because Reverend Mother wanted to see her. The work she had done was excellent and Margaret was offered a job working with Sister Lynch in the Linen Room – she hesitated but ultimately accepted because her early morning mass would be assured and she would be given a midday meal. In August that year there was to be a weekend retreat for “business girls” at Erskine. Margaret said no to Sister Lynch’s invitation to her to attend the retreat, because she was a keen netball player and had spent 10 shillings of her hard-earned pay to purchase a ticket for a test match between New Zealand and Australia that weekend. However at the next meeting of the Children of Mary, she offered to sell that precious ticket to the netball game “because something else had come up” Someone bought it, and returning to Sister Lynch Margaret discovered that, though the retreat was full up, her name had been left on the list. When she arrived to begin her retreat that Friday, she found on her bed a collection of Catholic Truth pamphlets about the different religious orders. On the top was one about the SMSMs. On the very bottom was one about the “Little Sisters of Saint Madeleine Sophie.” Margaret read them all with interest. At the final Benediction on Sunday afternoon, as Father Hurley raised the monstrance to bless everyone, Margaret suddenly noticed the candles in the shape of a heart surrounding Jesus, and was overcome with a strong feeling of call. Tears poured down her face as she said in her heart: “All right. I know this is where you want me, so I will come here.” His plan, not hers. Margaret thought she was going to have to enter without her parents’ permission. Not wanting to disobey her mother, she told Archbishop McKeefry her intentions. He assured her that she was doing the right thing and gave her his blessing and later officiated at her taking of the habit on the 8th September, 1949. Her mother did give her permission reluctantly in the end, but her father never did. It was Leo who helped her get her one way train ticket to Auckland . Margaret entered here at Baradene on February 2nd, 1949. Her novice mistress was the dearly loved Mother Harmignie. She was admitted to First Vows in Auckland on the 8th September, 1951 and for the next three years poured out her love not on the lepers, but on the boarders here at Baradene, living the silent, prayerful life of a coadjutrix sister as they were known at that time and doing the cooking, caring for the dining room and general housework. In 1953 she had seven months at Loreto Hall, the Catholic Teachers’ College in Benson Road, taking care of the kitchen and laundry, before returning to Erskine for four years in the Dispense (in charge of supplies and orders), the kitchen and housework. 1957 brought her the joy of a time of preparation, again under the loving guidance of Mother Harmignie, for her final profession on the 29th September. 1958 and 59 saw her back at Loreto Hall doing, as she recalls, “the laundry and odd jobs.” The early 60s Margaret was busy at Baradene, adding to her schedule sewing classes for the third formers and the care of the community linen room. Margaret really enjoyed her year in Sydney at Kincoppal, Rose Bay, 1968, where she studied for a book-keeping diploma, fitting in some sewing classes for the Fourth form and helping in the school dining room. 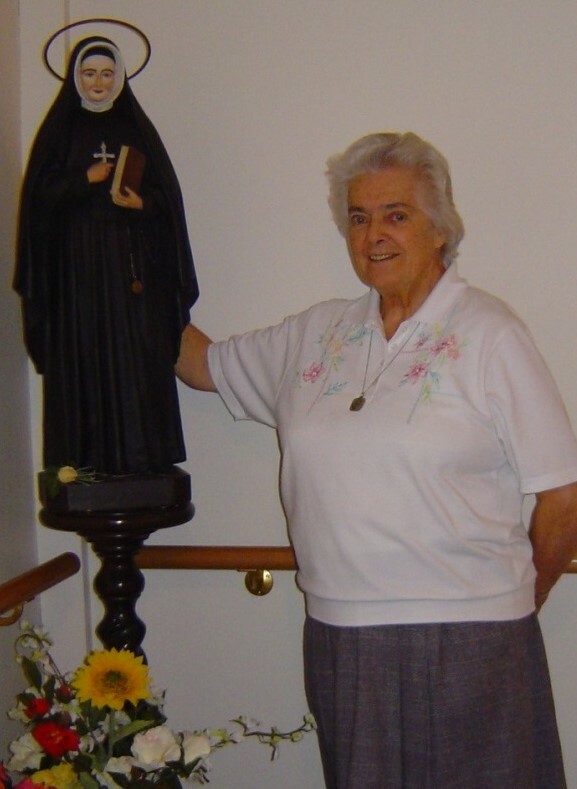 It was the time of renewal and aggiornamento for religious life after Vatican II and Margaret relished the expansion of her world, even while she missed the contemplative, hidden life of service and sacrifice that had been hers since she entered, and in which her intimacy with Jesus and his mother had grown so deep. She was to talk of this nostalgia at intervals until recently. There was more study to come. Margaret did her School Certificate exams in Auckland in 1970, and was soon teaching Clothing and Textiles to Forms 4 and 5 at Baradene, which she did with great success for some years around what is now the boardroom table. In 1973 she took a year out to go to Wellington and study Occupational Therapy at the Central Institute of Technology. Margaret had been enabled by the increasing freedom of her life to give practical expression to her deep love of her family, and I know how often she has enlisted prayer support for one or other member of the family with health problems. 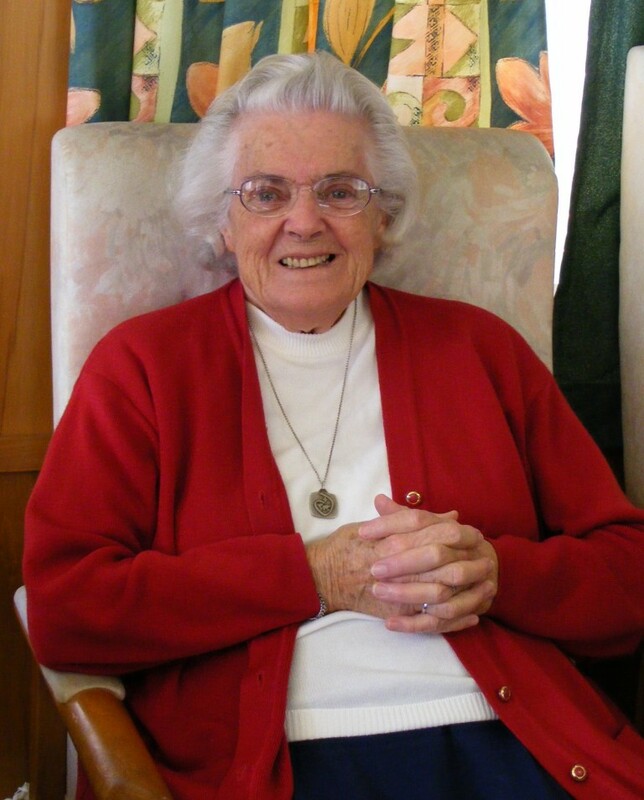 During 1974 – 75 Margaret herself had a bout of serious illness, followed by a slow recuperation and she transitioned gradually during the later 1980s from teaching to parish ministry, visiting rest homes and lonely people and being of service to her own community as dressmaker and driver. She was utterly faithful to taking Communion to Sister Kath Grace on Sundays over the long period of her final illness, even when she could not get much response. However it was to the people of the Parnell Parish that she lost her heart, and she was faithful to liturgies and committed to all parish activities for many years. Until she could no longer drive, no longer see properly, she maintained her communion rounds – eventually with the help of a kindly driver, (who is here today and) to whom Margaret was immensely grateful. Margaret accepted her diminishments – her health, her sight, her loss of that driver’s licence, her sharpness of hearing – with the faith that marked her life. We thought she might be like a caged lion, but she saw these things as another call from her Lord and bore with her frustrations surprisingly well. The Institute for the Blind provided help and Margaret became proficient in her use of mobile phone and Ipad, and later a landline in her room enabled her to continue her faithful ministry by telephone. I and many others have been inspired by the depth and simplicity of Margaret’s faith. Her love of and profound trust in Mary, as Jesus’ mother, was very moving. However, it was her relationship with her beloved Jesus, her ‘go to man’, that touched me most. Jesus was the centre of her life and was absolutely her reference of how to be. She knew she did not always get her relationships with people right and she frequently asked Jesus to lead her. As she struggled more in recent years she depended more heavily on her ability to turn into the arms of Jesus. His arms have opened wide now to take her into his joy, with his mother and St Madeleine Sophie forever. As we hold her in our prayer she will hold us in hers.